All-in-one solutions come up short on all fronts, so why buy an all-in one tool for your email marketing? Stay focused, stay effective. Switching from Infusionsoft to ConvertKit was one of the best decisions I've made as an online entrepreneur. The support has been phenomenal, plus the interface has all the bells and whistles I've been dreaming of - without any of the tech headaches! Email marketing doesn’t have to be complicated. ConvertKit is built by bloggers for bloggers to give you exactly what you need to grow your business all on your own. From its visual automation builder to the dynamic automation rules, ConvertKit has the power of Infusionsoft without the steep learning curve. 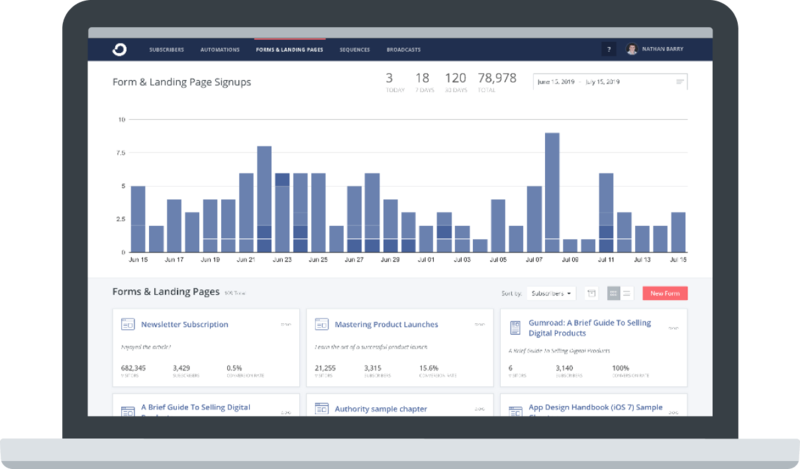 Beautiful visual automation builder makes it easy to build and understand an ideal marketing funnel that leads to more sales and a better subscriber experience. “If this, then that” automation options make it simple to send the right content to the right subscribers at the right time. Creating and modifying campaigns (we call them sequences) is easy thanks to ConvertKit’s simple UI, which lets you drag and drop emails into a new order and effortlessly add new emails, all in one screen. Deliverability is the name of the game in email marketing. By focusing solely on being an email marketing platform, ConvertKit’s main goal is to build bulletproof deliverability to make sure you land in your reader’s inbox every time. With email spam filters starting to block HTML emails, ConvertKit’s plain text emails help you avoid the spam filters. Higher open rates mean more email subscribers become customers for your growing business. Reliable deliverability means you stay in touch with your readers and customers to gain their trust and be seen as an authority in your industry. Don’t waste your limited budget as a pro-blogger on expensive consultants just to implement your email marketing system. ConvertKit makes it easy for you to run and grow your email list on your own, no matter your skill level. Get started without spending hundreds of dollars on a mandatory training package. No need to hire a dedicated tech employee or spend thousands per month on a consultant to continue running your email marketing. Use your extra budget for a VA, better advertising, or beautiful design that will help grow your business. Better yet, spend it on a fantastic vacation for you and your family. You don’t need to take our word for it. Read these stories from bloggers who made the transition from Infusionsoft to ConvertKit to find out why they switched and why they’re still loving ConvertKit. 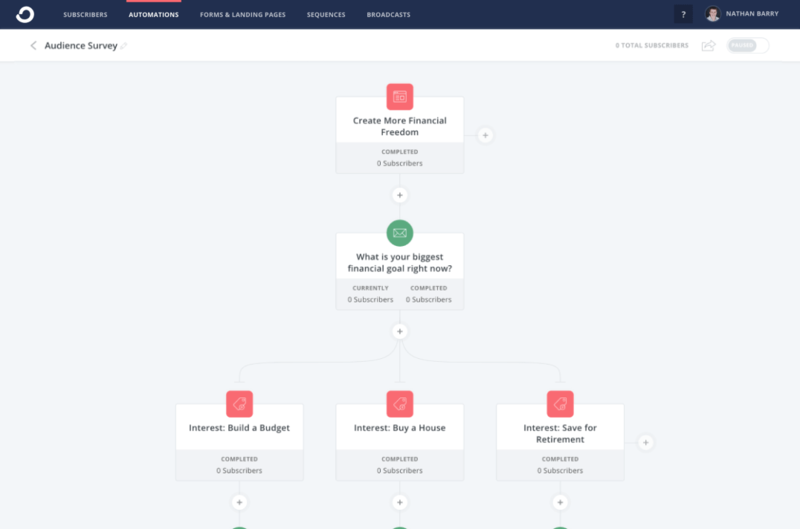 "I see ConvertKit as the solution that most online business owners and bloggers should be using to run their business as it provides the intelligence you need to build logic into campaigns and manage subscribers without needless complexity." "After switching to ConvertKit my email open rate has increased back up to 20 – 22% on average." "I had automations with Infusionsoft, but they were a headache to set up sometimes. With ConvertKit, the automation rules are so easy to set up." "Attention Infusionsoft users – this is all the automation you need. Stop overpaying for over-hyped automation with Infusionsoft. If you’re an online writer, you don’t need to do more than this."